A 40-by-22½-foot LED screen is a dominating feature of the stage in the Pritzker Pavilion of Chicago’s Millennium Park, difficult to ignore though many try. 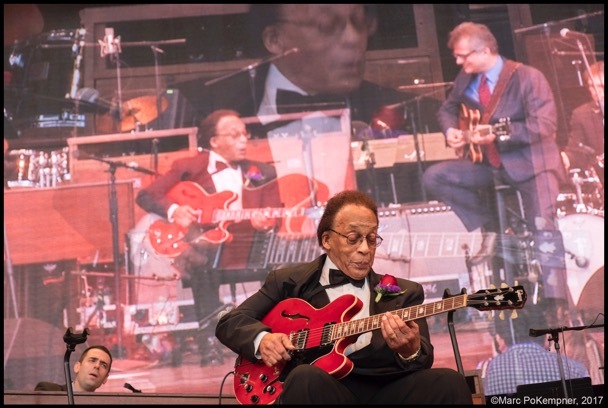 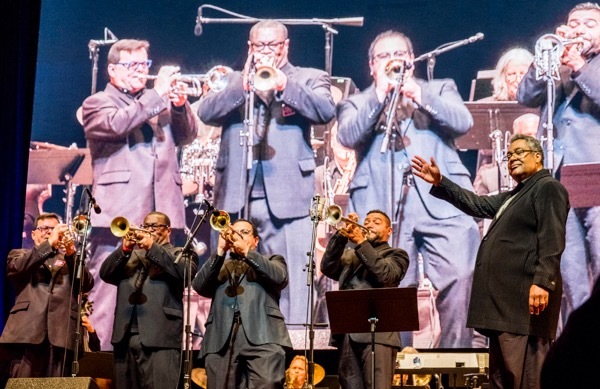 Photographer Marc PoKempner does the opposite in his shots from the 39th annual Chicago Jazz Festival: he uses what he (and everybody else) sees to create striking images, in the best tradition of artists in his medium. 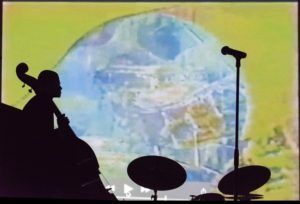 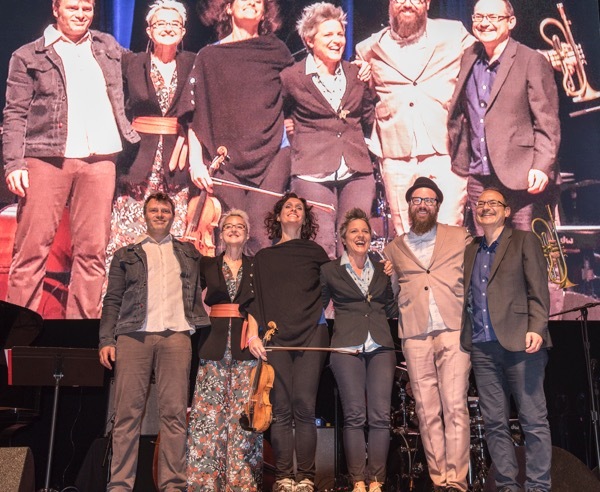 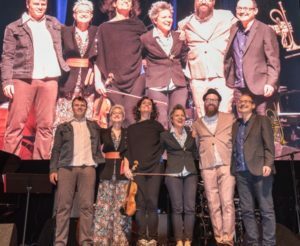 Boom Tic Boom, demonstrating the welcome trend of gender-diversified ensembles: bassist Todd Sickafoose, pianist Myra Melford, violinist Jenny Scheinman, leader and drummer Allison Miller, cornetist Kirk Knuffke, clarinetist Ben Goldberg. 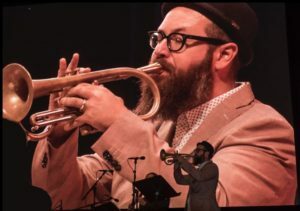 Kirk Knuffke magnified, visible in detail to the crowd in the grassy field. The sound is amplified — why not the sight?